Public policy directs the public activity delivered on a national or regional scale. The ability to map sporting heritage activity to these policies, therefore, makes organisations more likely to demonstrate their relevance and secure sustainable funding. This is the first white paper specifically with a Cultural focus since Jennie Lee’s original in 1965. 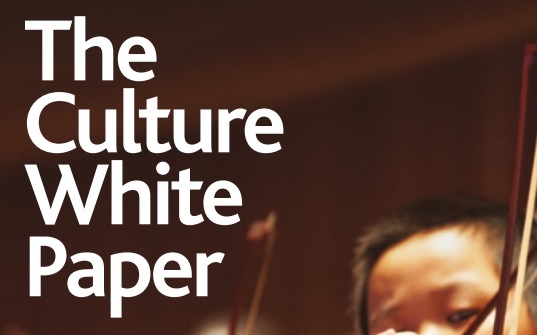 As a white paper, its contents provides a roadmap as to how the government want to manage culture over the coming term, rather than a piece of government legislation or policy. There are several areas for concern including the lack of read across to other national and regional policies, and the failure to address the growing freelance infrastructure of the workforce. The opportunities provided for sporting heritage within the white paper are many. The Department for Culture, Media and Sport are responsible for the above policies. Click here to find out more about the MPs involved. A recent research programme carried out by BOP on behalf of Arts Council England, aimed to understand more about the current picture of the museum workforce. The link takes you to the report summary and supports organisations to understand how to better increase and support a skilled museum workforce. A report outlining the imperative necessity of ensuring that diversity and equality are at the heart of the arts an culture, but that, as a nation, we are failing to achieve this in almost every field. the report outlines clear opportunities for change and outlines activities which will be driven by ACE to effect this change. The Creative Case for Diversity aims to position arts organisations as diverse from the core. The Creative case isn’t a policy as such, but a belief that diversity is central to the creative and cultural industries and underpinning all museum activity. You can find more information by clicking on the link above. The new white paper for education was published in 2016. Focused on formal learning the policy outlines how the government aims to support schools and the teaching profession to ensure children and young people are offered the same, excellent education irrespective of their backgrounds. It is clear to see where sporting heritage can be engaged to support the delivery of this policy. However, although there is much here that is laudable, there is little in the way of actually information about how the outcomes will be achieved. A report from the DCMS looking at the role of digital outputs driving the cultural economy nationally and internationally, to open up access to collections and cultural activity. Research published by the Art Fund and the Wolfson Foundation explores collecting in the UK today and the benefits of collections and collecting within museums and wider. The report suggests some revolutionary ideas and needs to better support collections and collecting, in order to ensure that the museums and wider collecting institutions remain relevant and engage new and different audiences with their collections. For sporting heritage, there is much to take heart from here. Our collections consistently demonstrate the engagement of non-traditional audiences and links to the delivery of wider agendas such as health and well-being, and are paramount in ensuring links with individuals and communities at local, regional and national level.